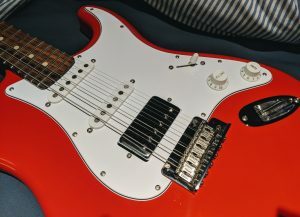 This was my first “real” guitar. We all have that friend who borrows something and then breaks it or doesn’t return it. Well, I was that friend, but to my dad, because this guitar looks almost nothing like how it did when he gave it to me (Google “black 57 Stratocaster reissue” – that’s what it looked like before). For starters, this guitar was black, and had a one-piece maple neck. 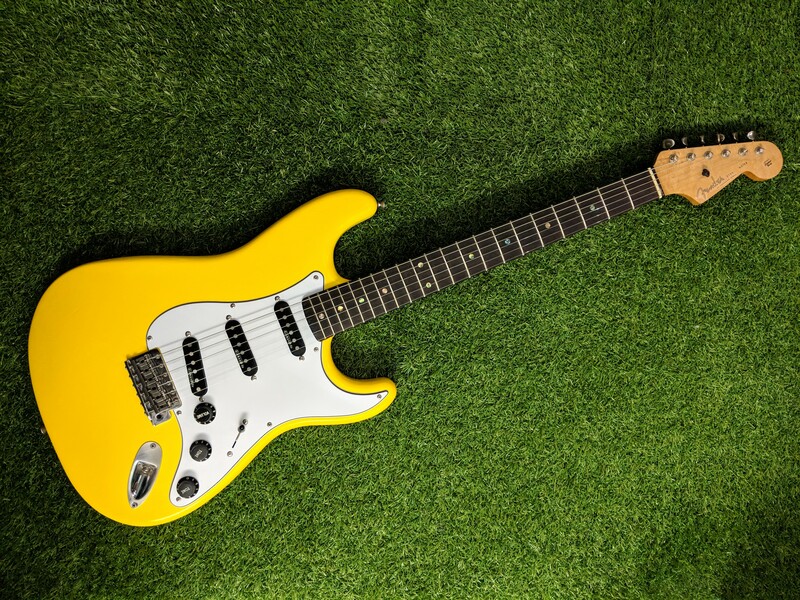 It’s now yellow (after being all-black, white, then red), and has a rosewood neck. Having said that, I’ve owned this guitar for about 15 years now, which means it’s been this way longer than the state it was in when it left the factory (I believe late 90s).